Playing host to Test matches since 1884, Old Trafford, home to Lancashire Country Cricket Club, is one of the most significant grounds in England. A recent upgrade has considerably raised the status of the ground and secured their position as ideal host to future Ashes Tests, One-Day Internationals and International20s. Since the redevelopment, the seating system enables the maximum match capacity of 26,000 to reach 50,000 for large-scale concerts, providing scope for a massive boost for untapped revenue opportunities. 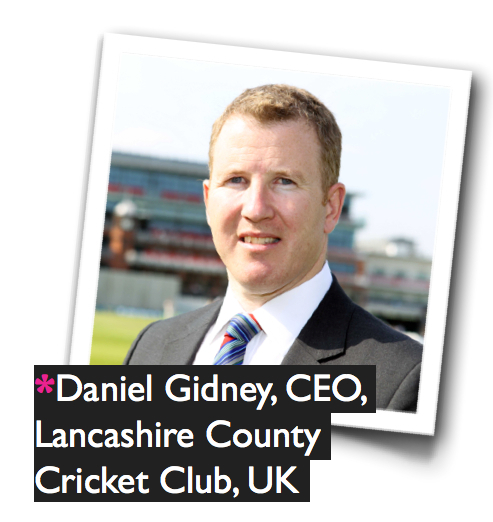 TheStadiumBusiness Summit 2014 is delighted to welcome one of our 2013 Summit speakers, Daniel Gidney, CEO of Lancashire County Cricket Club, UK, to this year’s Summit as a delegate. Here he describes the challenges the industry face, what can be done, and why he’s attending this year as a delegate. Please can you tell us a little about your main responsibilities within Lancashire County Cricket Club? I am the CEO and have full responsibility for the profit and loss, players and staff at the club. As a speaker at TheStadiumBusiness Summit 2013, what were the main points that you took away from the event? I was hugely impressed with the organisation and professionalism of the event – an event that is unique without par. TheStadiumBusiness Summit always has a very high quality delegate list at CEO and Director level and as a result attracts a strong, informative and engaging speaker roster. 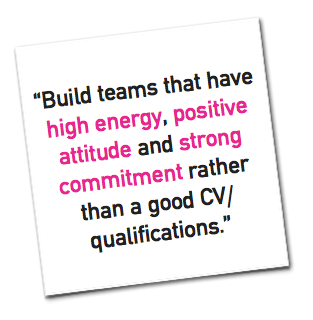 Can you tell us the main incentives behind registering for this year’s summit as a delegate? I always try and bring multiple executive team members with me as the event is great for networking and sharing best practice from world-class venues with a truly global reach. In terms of what we get from it, the event represents exceptional value for money. Can you tell us what plans Lancashire county cricket club has for the year ahead? 2013 provided us a perfect platform for growth – we achieved a record naming rights partnership with Emirates and a record profit for the club. We were also enormously successful in the hosting of international cricket with an Ashes test and one-day international welcoming over 150,000 spectators and generating £20m for the local economy. 2014 is our 150th year and is about pushing on and growing sustainable EBITDA, particularly building on 2013’s 20% growth in conference and event revenues in conjunction with hosting an India test match and Sri Lanka one day international. What are the main challenges that the venue business face today? Venue businesses have to ensure they remain relevant to the ever-demanding consumer who requires strong digital engagement, exceptional customer service, value for money and a great day out. Customers have to be front-and-centre of your culture and your strategy – in addition to this, building sustainable earnings outside of sports that are anti cyclical continues to be a key theme. If you had one piece of advice for those operating a venue in today’s climate, what would it be? Ensure your cost base is as variable and linked to directly to revenues as it can be, put your customers at the heart of what you do and build teams that have high energy, positive attitude and strong commitment rather than a good CV/qualifications. Meet Daniel and other venue leaders from the stadium industry at TheStadiumBusiness Summit 2014! Email us.